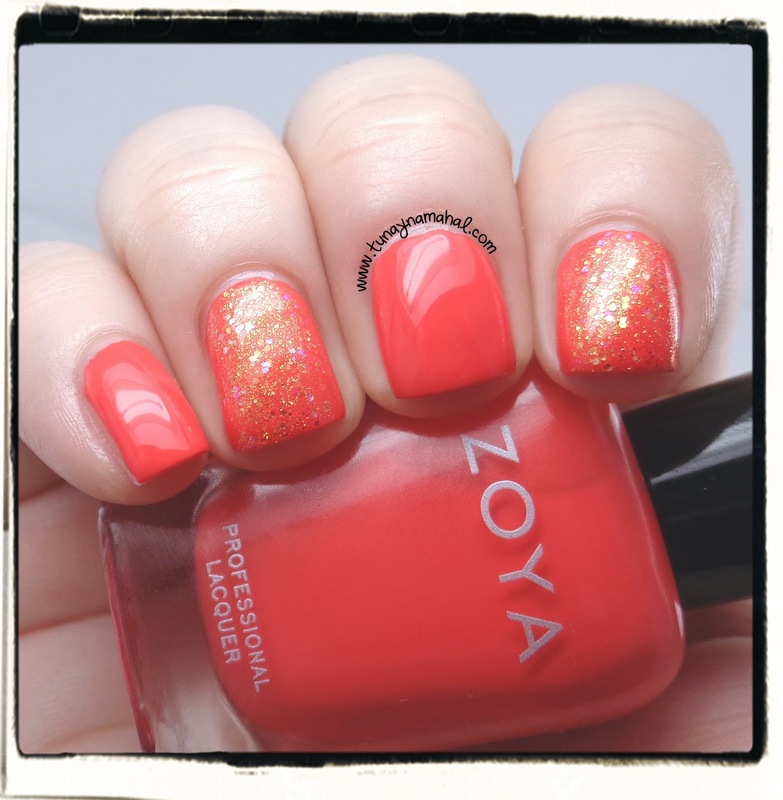 Today I am sharing the gorgeous Zoya Tickled, Summer 2014 collection with you! These are 6 vibrant colors perfect for summer! I used the Zoya Bubbly collection for Accent nails, along with some stamping. (I've used Seche Vite topcoat on all swatches below). Both of the summer collections can be purchased as a set or individually at Zoya.com. (I used Seche Vite topcoat below on all the swatches). Zoya Wendy (accent nail is Alma, 1 coat layered over Wendy). Wendy is a bright melon color, almost neon. I needed three coats. Citrus fruit stamp is Winstonia Store W118. Zoya Rooney (accent nail is 1 coat of Binx layered over Rooney). I only needed two coats for Rooney a magenta pink color. My Flying Pig Stamp, is from Winstonia Store plate W217. Zoya Kitridge (accent nail is 1 coat of Harper layered over Kitridge). I used three coats for Kitridge, it's a bright bubble gum pink. I stamped the Flamingo with Winstonia Store stamp W210. Zoya Ling (accent nail is 1 coat of Muse layered over Ling) I only needed two coats of Ling. I stamped the seashells with Winstonia Store plate W108. Zoya Tilda (accent nail is 1 coat of Stassi layered over Tilda) I only needed two coats of Tilda to be opaque. 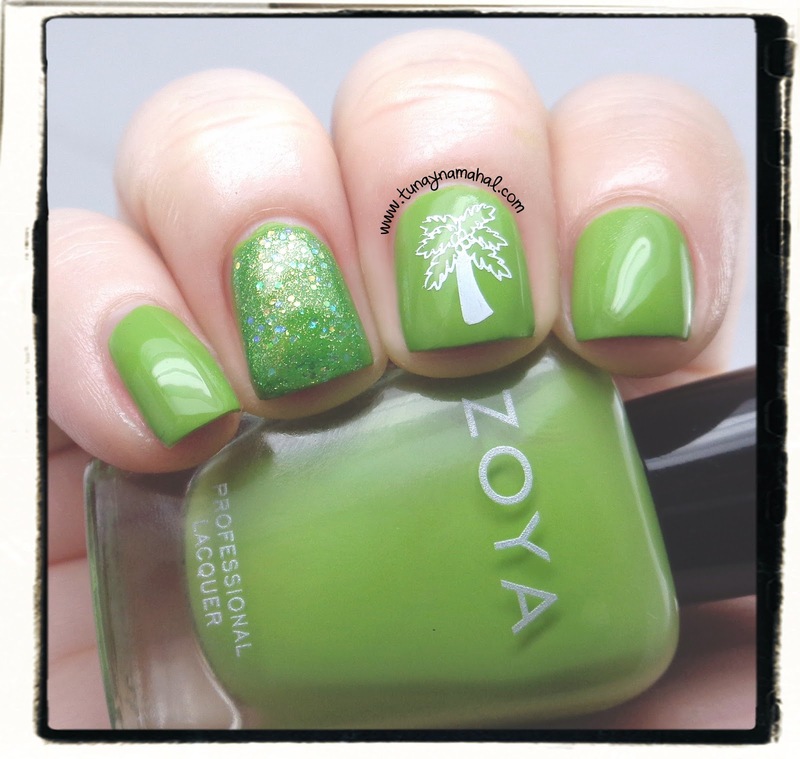 The palm tree stamp is Winstonia Store W106 (I don't think this green plays nice with my skin tone though). Zoya Rocha (accent nails are Jesy). I only needed two coats of Rocha. It's a very bright red toned orange. 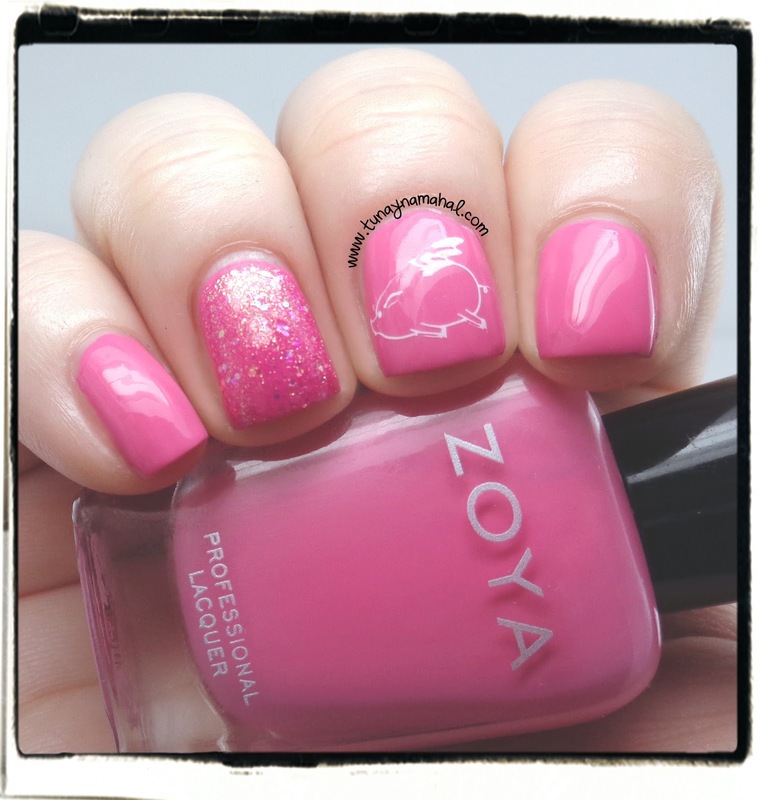 Check out my review of the Zoya Bubbly Collection Here!